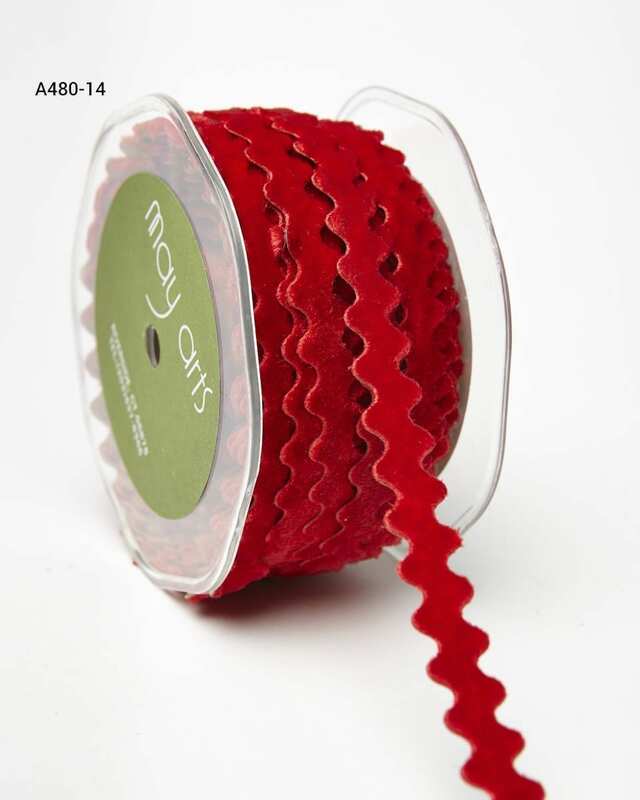 May Arts’ signature adhesive ribbon is uniquely made to be both beautiful, and durable. The 3/8 inch velvet ric rac has an acrylic glue backing that allows you to stick it on every kind of surface, from cloth, to plastic, to clothing. 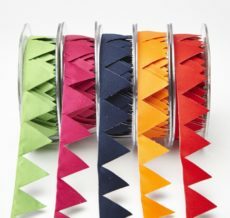 Available in rich colors like burgundy and pewter, these ribbons can be use in everything from cards to giftwrap for various seasons and holidays.